Here’s a question we often get at the Marine Mammal Center: how do we tell our animals apart? This blog is meant to help you do just that. Follow along for some helpful hints you can use next time you visit our flippered friends! The New Balance Foundation Marine Mammal Center exhibit is home to California sea lions and northern fur seals. Are you looking at a fur seal or a sea lion? This can be tricky because northern fur seals and California sea lions share characteristics that land them both in a category called eared seals! There are many ways sea lions are similar to fur seals, but where they differ will help you determine who is who. So what’s the major difference? FUR! 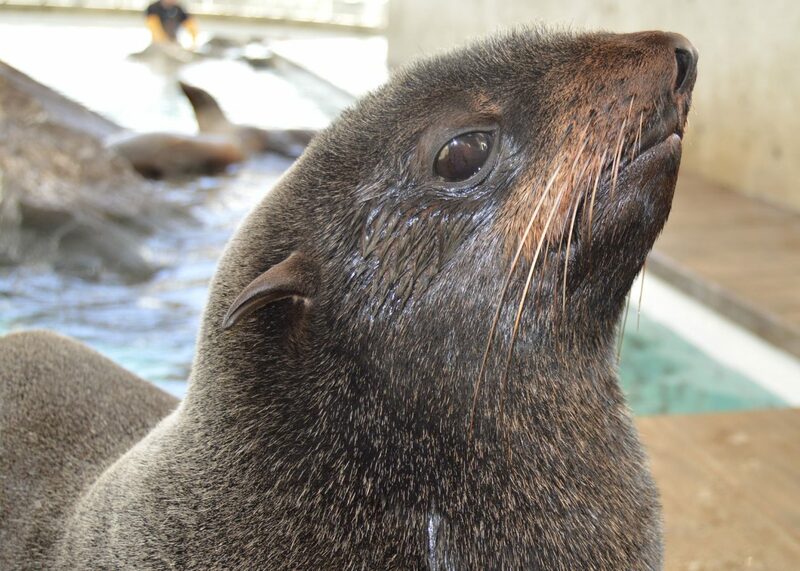 The northern fur seals at the Aquarium generally have a darker color to their fur than the sea lions. When they are wet, fur seals look black, while the sea lions look brown. When dry, the fur seals lounging on the deck at the marine mammal center look more brown, and their sea lion neighbors will look a golden brown or blonde color. Chiidax the fur seal shows off his fuzzy, dry fur. 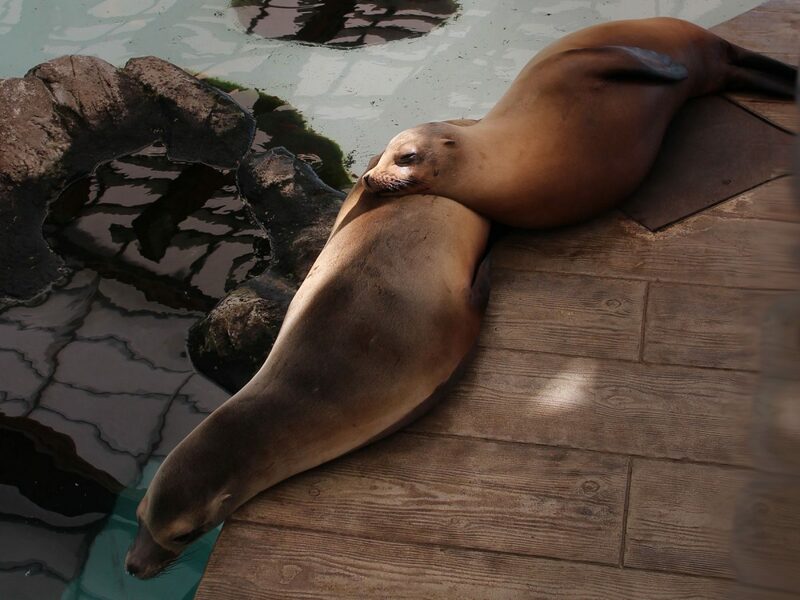 Sleepy, dry sea lions have lighter-colored and thinner fur. Another noticeable difference is the size of the hind flippers. Fur seals have a lot of extra cartilage on their flippers past the bone. This allows them to reach anywhere they need to with their giant flippers in order to groom their fur coat. After all, fur seals have the second thickest coat of fur on the planet. Sea lions have hair as well, but it doesn’t need as much maintenance because they rely mostly on blubber to keep warm instead of fur. This means that sea lions don’t need such long hind flippers. 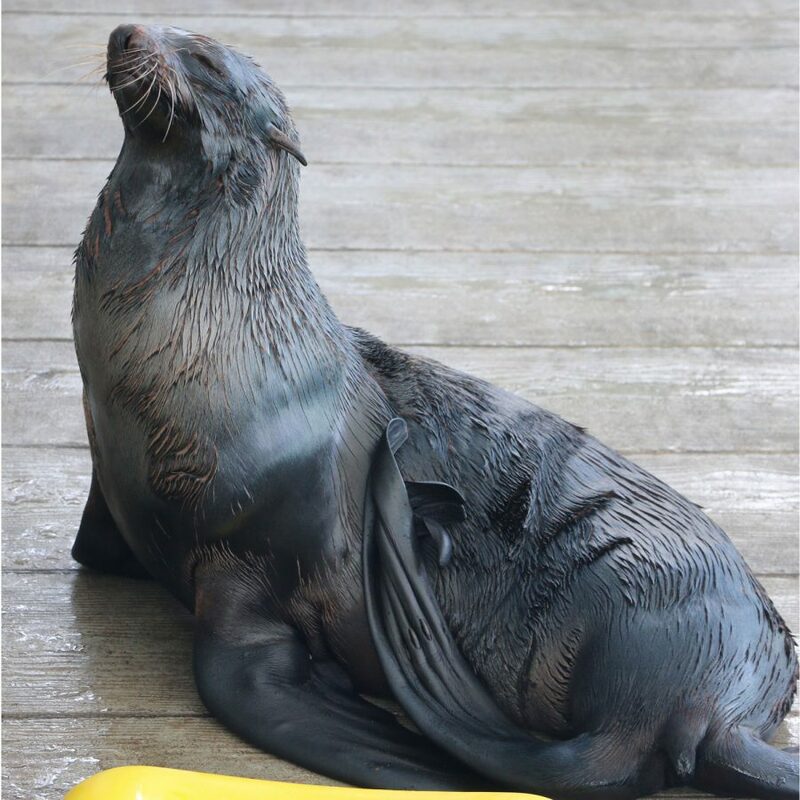 Ursula the sleek fur seal shows off her beautiful long hind flippers. 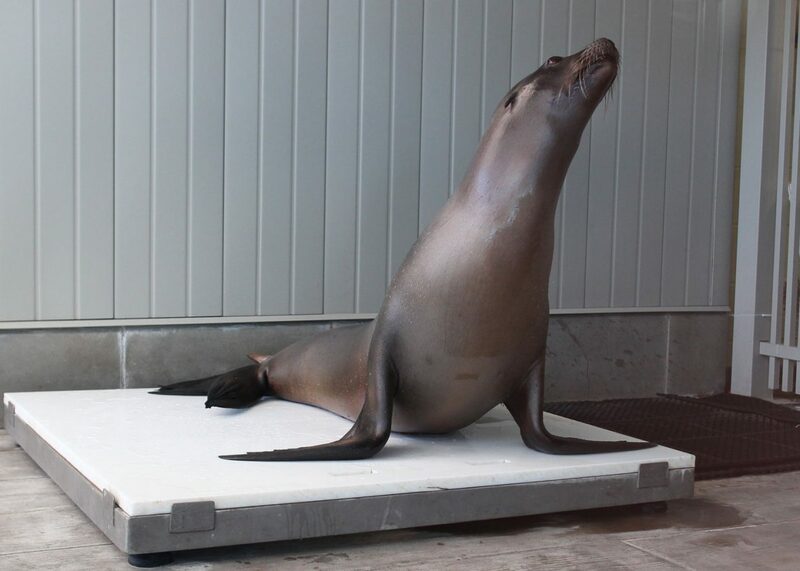 Zoe the sea lion hops on the scale, giving us a look at her shorter hind flippers and thick blubber. Looking at the photos of sea lions vs. fur seals, can you find any other ways to tell them apart? If you can tell the sea lions apart, you’ve reached expert level in seal identification. Put your skills to the test and come visit the seals and sea lions at the Aquarium!